Last week, current FIM CEV Repsol Moto3™ Junior World Championship rider Tom Booth-Amos and the CIP – Green Power team finalised their partnership for the 2019 Moto3™ season. Good news... and with Jake Dixon off to Moto 2. We’ll have a few more Brits to shout for..
Hi folks I'm sorry been absent for while but as work often means missing races still catching up so keep off social media forums etc till watched. Total Disaster this morning ....new sky box i forgot to change settings when got it & on eco mode its turned itself off!!! Previously, in order to be qualified as a finisher, the rider had to be in contact with his machine when crossing the finish line. There have been situations when, due to a crash, the rider and machine have crossed the line separately. In future, the finish time will be determined by the first part of the rider or his motorcycle, whichever crosses the finish line last. For Safety reasons, it is not permitted to start the engine of a racing motorcycle inside the pit box at any time. Engines must be started in the pit lane. There are more changes, eg on equipment, tyres, penalties etc...see the link. Some info on the 2019 Ducati. Engine stuff starts around 28 mins. I hadn't realised that connection before today. Does anyone know where the free highlights will be shown as I can’t find them on channel 5? Sorry...I can't help you with that, but I did have a look and found nothing. Then, I've only just heard that Bradley Smith has 4 or 5 wild card rides this season, starting this weekend in Qatar. Is this in addition to Iannone or is he replacing him? I'll be surprised if Bradley doesn't get the gig full time at some stage in the season. In addition...Aprilia, starts off with three riders in the opening race at Qatar. Fenati has lost his license. "...until [the] end of 2018." Fenati is back...in Moto3...and he's quick. Enjoying the Moto2 free practice... bikes sound great with the new Triumph motor. Can someone please answer this question with good news??!? Stumbled across this being on BT Sport, series record set as lost track when it moved around- a welcome replacement for F1 which I’m not forking out for. Valantino being 40 makes me feel old but good to see him still smiling. Neil Hodgson and Colin Edwards as part of the BT team was a pleasant surprise too. Any predictions for the races folks?? No predictions from me...things are too new / close. Yes, the new Moto3 QP1, QP2 format was a bit of a scramble at 15 mins each. MGP is the same, but it is immediately preceded by 30 mins of FP4. I won't be surprised if there are some adjustments made. Nice to see and hear the 3 cylinder Triumph. If you guys missed this event, shame on you! :) Three brilliant races and the big bikes were as mad as the tiddlers. Watch highlights on 4 or 5, well worth it. I agree with you about the racing, but maybe not about your final recommendation. However, I've just found this...link. We will maintain our standard definition channels on channel 37 on Freeview and our Quest+1 service on channel 83 (7pm-4am) at the same time as showing our HD offering at 114. We will also maintain our standard definition Virgin channel at 172. Currently, our QuestHD on Freeview channel 114 is not available universally across the UK & Ireland. To see if your area is covered for our HD channel, please check out your address at this channel checker on Freeview’s website: https://www.freeview.co.uk/channels-...-address-check or call the Freeview Advice Line free on 0808 100 0288. 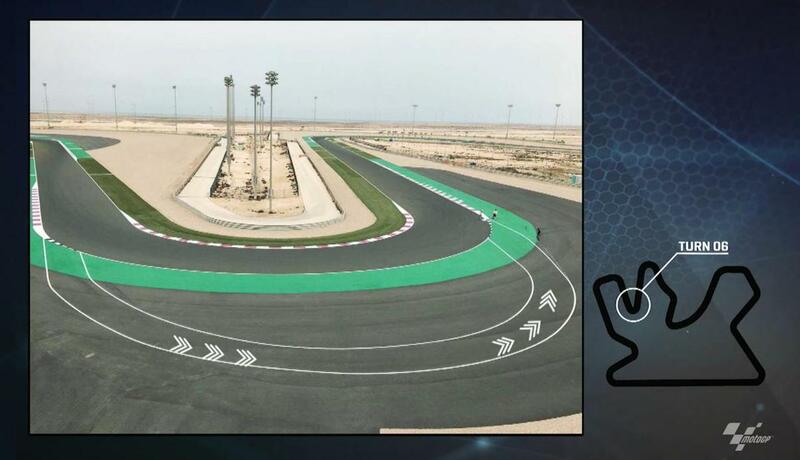 At the VisitQatar Grand Prix, the FIM MotoGP Stewards Panel received various protests concerning aerodynamic devices on the rear swing arm of Ducati machinery...Based on guidelines and regulations currently in force, the FIM MotoGP Stewards Panel rejected their protests. An appeals process then began and the appeals panel has subsequently decided to refer the case to the MotoGP Court of Appeals in order to attain more information and detail pertaining to the matter. The result of the VisitQatar Grand Prix remains in standing. For anyone that doesn't watch the whole BTSport presentation...I just found this video link...What is the new switch on the Ducati? Interesting stuff, it will no doubt be banned by round three! Thanks for the Quest heads-up, watching now! The “Holeshot” button..... supposed to be a super duper launch control system..
How close was the MotoGP race!! If that's a sign for the rest of the year it's going to be a great season. I've only got through Moto3 so far. Did you recognise the pair providing commentary? Moto2 now running...and they've just shown someone making a close acquaintance with the tarmac. Edit Oh...and just a simple tower showing positions and the very occasional gap time. I was pretty happy with what I saw on BT Sports. My comment was about the highlights programme on Quest. The latter is necessarily edited down to the essentials, but IMO they missed some of them out. I believe that Dorna provide the feeds to contracted broadcasters and it's up to them how they use it. When you say 'the coverage was pretty poor', what was missing? Just caught it up now - close race! The whole 'inside leg out' thing is/looks wrong - never used to happen? Now that’s a bit of innovation! I wonder how long it will take the other teams to copy. Ducati do seem to be leading the “ allowed modifications “ race , last two years with wings! But the main thing is their outright speed on the straights, they have been imperious for that for a number of years now. Thanks for the link to the Quest channel, I was feeling a bit down last night having not found anything on CH5! I've just caught up on the superbikes. Holy crap. Bautista on the ducati is on fire. Rea must wonder what has hit him. Crazy amount of crashes over the weekend - that track looks very difficult. Great win for Rins. Hard to see Honda not having a lot more wins, unless they crash out again - speed trap speeds now up with Ducati. Yamaha and Suzuki look to struggle a little in the power stakes. Very enjoyable race, despite the Marquez and Crutchlow crashes, and opens up the championship standing a little more. ICYMI...link...The Unrideables 2: The Rainey Years on ITV4 (NB it's a 2014 video, so you may well have seen it before).